Feature: Mild, no tears, Softens nourishes and improves hair lustre. No More Tears This formula is gentle to eyes. 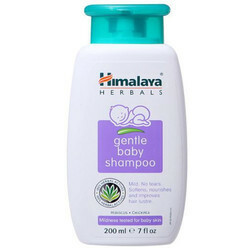 Gently cleanses baby's hair and scalp without stinging the eyes. Added conditioner helps soften hair enhancing manageability and shine. Gentle enough for daily use. The new and gentle formulation of johnson's Baby Shampoo maintains hair's natural moisture balance without leaving any residue and the no more tears formula is as mild to the eyes as pure water. Ideal for gently cleansing and moisturising baby's delicate hair. Foams easier and faster. 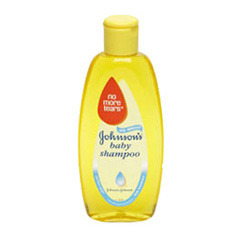 Johnson & Johnson baby shampoo clinically proven to be gentle and mild, this is a safe baby shampoo for your baby.